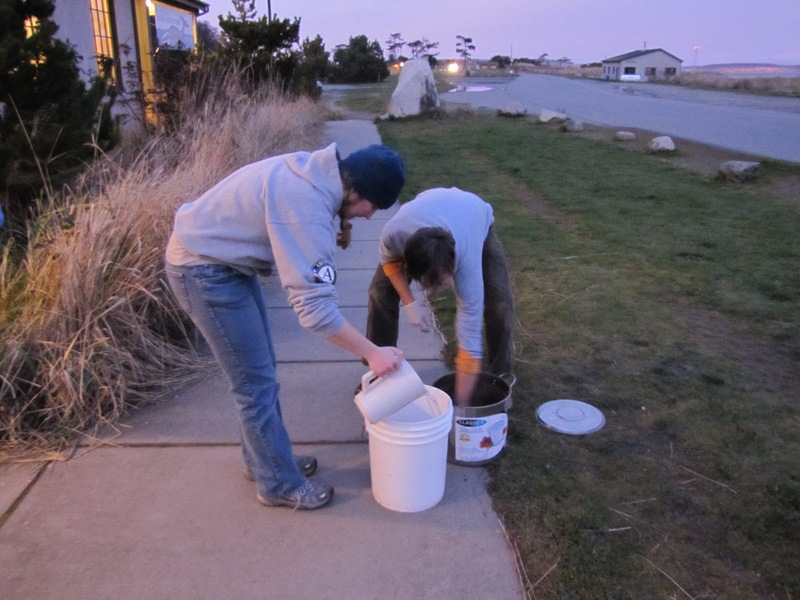 PTMSC Blog : Double, double, toil and SEA LION trouble! Double, double, toil and SEA LION trouble! When we got the report of a dead California sea lion through the East Jefferson County Marine Mammal Stranding Network that we manage here at PTMSC we decided to jump on this (potentially odiferous) opportunity! Inspired by the presence of expert “Boneman”, Lee Post, we, the AmeriCorps staffers, thought that this would be an excellent opportunity to collect and clean a skull! Under Lee’s patient tutelage we hoped to learn the process of collecting, flensing and cleaning the skull so that it could join our educational collection of skeletons (used for school groups and the public). 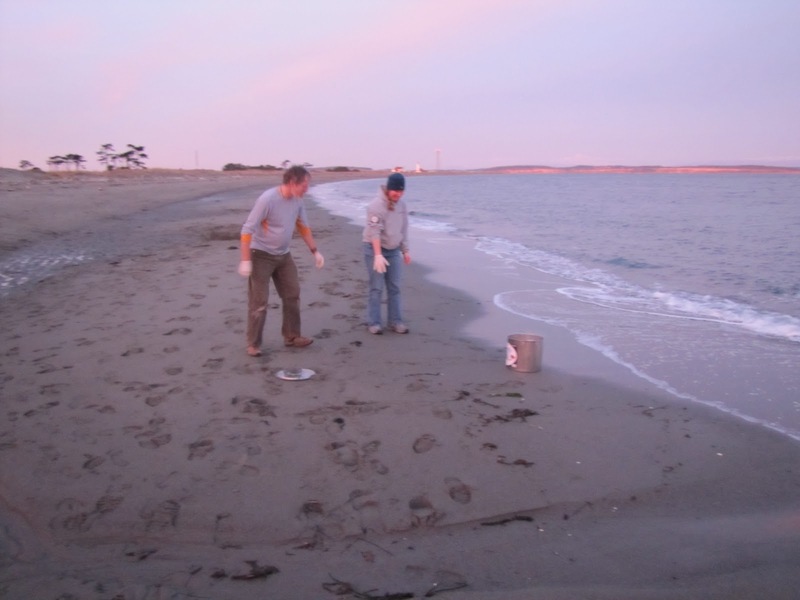 ﻿﻿﻿﻿Unfortunately when we went to Indian Island to collect it and conduct the preliminary analysis (we submit data on each reported stranding to NOAA). It was a bit more attached than anticipated; we ended up removing what more closely resembled a head than a skull (quite the gory task). Per Lee’s instructions, we cut off as much flesh and muscle tissue as possible (a process called “flensing”). We then brought the specimen back and froze it for a few days. Once Lee had a moment of time away from the orca articulation, we thawed out the skull and plopped it into a large pot of boiling water (outside the building OF COURSE). 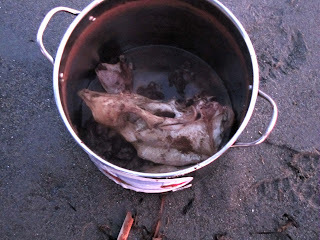 It boiled for 8 hours, letting off an amazingly foul stench that could be smelled from a truly shocking distance away. 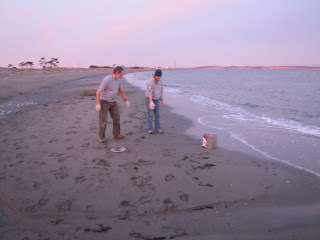 Finally, at the end of the 8 hours (and many jokes about “toil and trouble”) we removed it from the heat and Lee and I carried the “cauldron” down to the beach to dump out the “sea lion soup”. 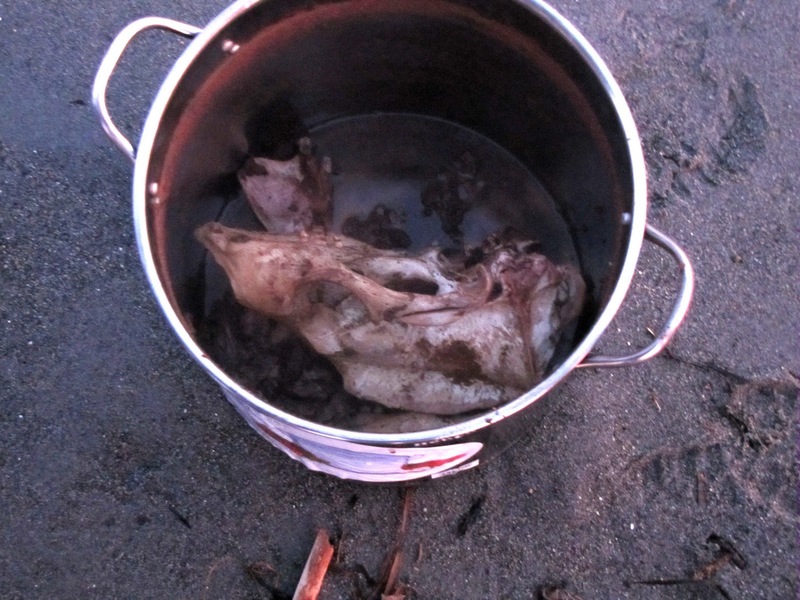 Since we hadn’t added anything to the water it was completely safe to dispose of the “soup” by pouring it into the surf….. still… I wouldn’t have recommended bathing in that exact wave. The boiling removed almost every trace of muscle and tendon, leaving the skull bright white and ready for sterilization and deodorization. Once an appropriate amount of time had passed, we removed the skull from its solution and WA-LAH! Clean and relatively odor-less! Our hope now is to send off one of the teeth to a lab to be analyzed, in order to determine the age of the animal before it stranded. While each of these strandings is quite sad (we had an adorable but very dead Northern Fur seal strand a few days ago that just about broke my heart), we are contributing to NOAA's and the research community's knowledge about stranding patterns as well as furthering public education. Frequently the only interaction people have with these denizens of the ocean is through watching them on television. If we give visitors and students the opportunity to engage with the animals through examining a skeleton or skull I think it's providing a valuable and worthwhile service. Three cheers for skulls much thanks to Lee Post for helping us through the whole process!